Cabochon and Co Diamonds are renound for their high grade affordable diamond simulants. Synthetic diamonds set in sterling silver. Shop the collection . 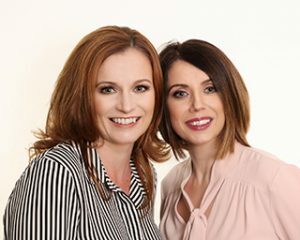 Irish owned ,irish designed ,Irish Sisters Lisa and Leanne Campbell are the creative inspiration behind Cabochon & Co Diamonds , having lived and worked for many years in Saudi Arabia, Lisa recognised a gap in the market for affordable luxurious hand crafted diamond simulant jewellery. Having spent time working in a jewellers and as a distributor for a diamond simulant company , the sister duo began researching suppliers of the amazing high grade simulants their stunning pieces are now created with. After working tirelessly over a two year period with acclaimed Jewellery designers Cabochon & Co brand was born! The stunning collection incorporates Style Elegance & Luxury at affordable prices with an undeniable modern twist. The collection consists of a combination of diamond simulant rings, pendants, earrings and bracelets set in 925 Sterling Silver, the collection truly is iconic.